Although various public amenities for disabled people are available, they are not always helpful. For instance, some disabled toilets are hard to use for those in a wheelchair even though the toilets are within the law’s guidelines. 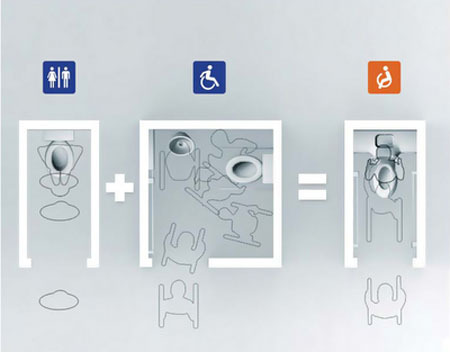 The Universal Toilet aims to make public environments more accessible and more inclusive. It incorporates universal design principles in a way that creates a toilet equally useable by all members of society and prevents people from feeling singled out for their disability. 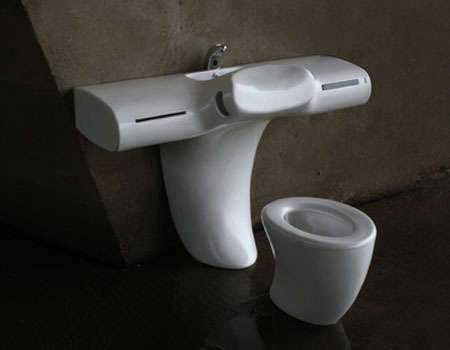 The Universal Toilet considers all requirements for a toilet, such as target users, space and facility expenses. The design also incorporates a sink. Its major feature is its adaptability to both the disabled and non-disabled through the dual-function backboard and chest board. It also offers considerable space efficiencies, requiring only a quarter of the space of a standard disabled toilet. 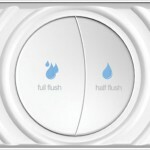 In addition, it conserves water by recycling the water used in the attached sink. Disabled people don’t want dedicated facilities. What they really want is to live seamlessly with everyone. The Universal Toilet is a flexible toilet design concept that prevents the disabled and the aged from being self-conscious about their limitations. It eliminates the need for public facilities to have both handicapped-dedicated and standard toilets—a significant step that would go a long way in better integrating all people in to society. While the current requirements for handicapped-accessible toilets are an improvement over past conditions, these facilities can alienate the people they are trying to help. For instance, the signage on these toilets showing a person in wheelchair may lead to feelings of rejection. Disabled people who are not in a wheelchair may feel that the facility is useable by wheelchair-users only, leaving them to struggle with a standard toilet. Such signs also earmark users as separate from mainstream society. The requirement that public places need to have facilities for the disabled is a narrow interpretation of the law that has negative undertones, suggesting that concessions are being made. A broader, more inclusive interpretation would classify handicapped facilities as ones that the disabled may use without any discomfort—a more eloquent solution. The designs of most toilets for the disabled have been concerned with functional and mechanical considerations, but none of them address the emotional components of a disability. By creating a toilet that is equally useable by everyone, there is no longer a need for special signage or for disabled people to feel singled out by dedicated facilities. The Universal Toilet delivers innovation by accommodating the needs of the disabled and able-bodied in one design. We envisioned a toilet that extends beyond a simple concept to meet everyone’s needs—and in the process brings harmony to all. The form of the Universal Toilet is similar enough to a standard toilet that able-bodied people feel comfortable using it. And because the design doesn’t scream “disabled,” disabled people don’t feel embarrassed to use it. With the Universal Toilet, wheelchair users don’t need to turn or twist but can simply slide forward off the wheelchair directly onto the toilet. There is a chest board they can lean against for added stability and comfort. Handles on the chest board can also be helpful when standing or transferring to and from the wheelchair. For people that have limited dexterity or strength and the able-bodied, the chest board becomes a backboard to lean against. The places where the wheelchair would come in contact with the toilet are wrapped in steel to prevent damage to the toilet’s finish. And the surfaces on the toilet that come in contact with the human body are treated with a special coating to mitigate coldness. 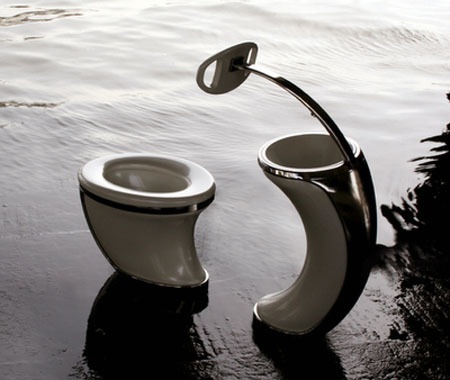 I think the idea of a universal toilet is a fantastic idea. In this day and age it is a surprise that we don’t already have better facilities for disabled people. 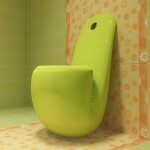 I only stumbled across this design while looking for interior design and decorating ideas. I’m not disabled but my grandmother is currently recovering from a hip operation. She has been provided with a comode to sit over her existing toilet. The comode seat sits higher than the original seat, therefore making it a little easier for her to visit the toilet. 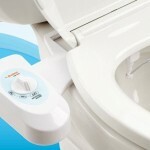 The comode can’t move from her toilet because it is such a small room and because of its design she is unable to close her toilet seat. I know this is going to cause some distress to her when she finally gets home from hospital – not only because she will find the toilet more difficult to clean and keep clean but because she will be embarrissed by visitors using the toilet with the disabled access modifications. I hope this design makes it onto the market soon. I feel like the people who designed this have lost their minds or never had a paraplegic test it. It’s not safe for people to transfer head first. They go sideways for a reason.